Play during your story phase, before characters are committed to stories. Action: Resolve an additional (A) struggle at all stories this phase. 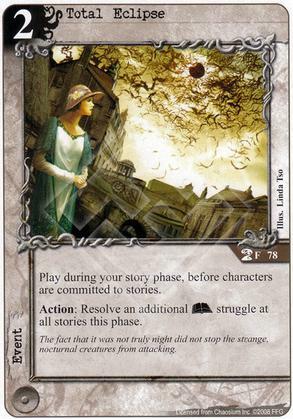 Flavor Text: The fact that it was not truly night did not stop the strange, nocturnal creatures from attacking.